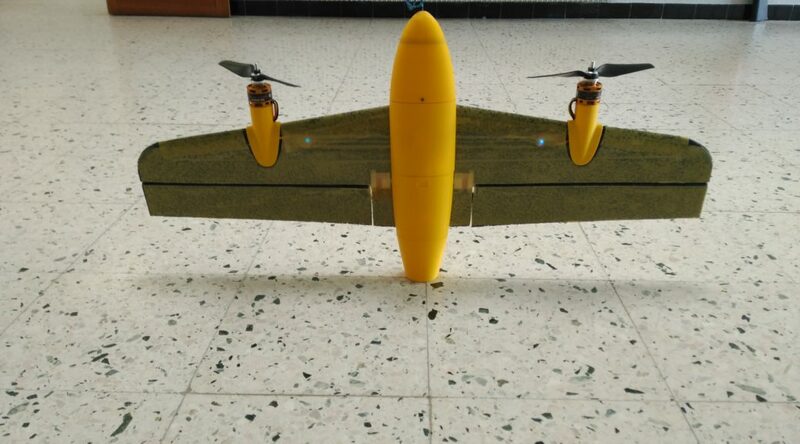 The Cyfoam is a hybrid vehicle developed at ENAC Drone Lab. The aircraft is a foam, with a 3D printed fuselage, version of the composite-made Cyclone. The vehicle is powered by the new autopilot board Chimera! which executes the control algorithms developed by Ewoud from Delft MAV Lab. We are currently aiming at a total autonomous mode, e.g., auto take off and auto landing.